– 6 oversized, hand sculpted tokens elegantly cast in zinc. 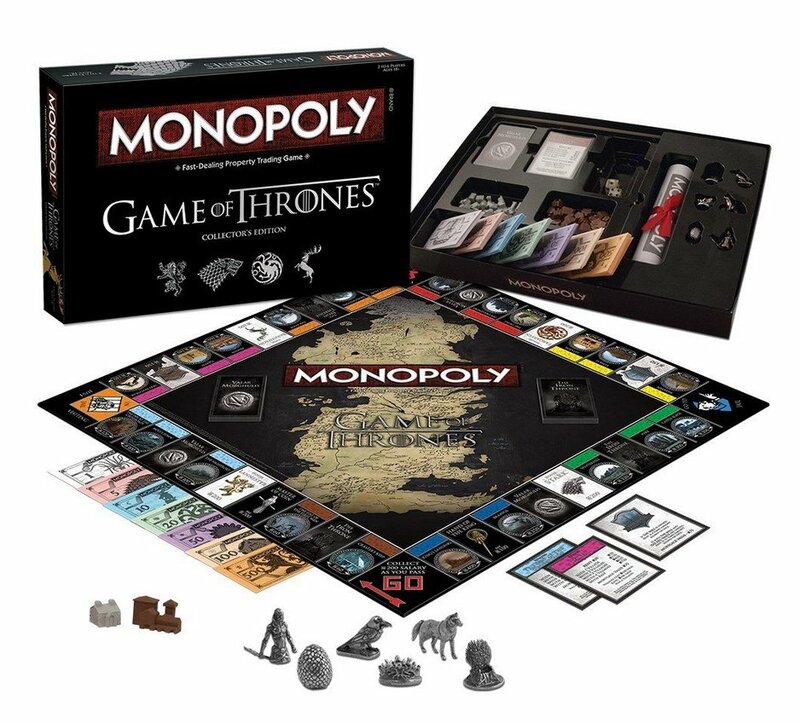 Includes: Crown, Direwolf, Dragon Egg, The Iron Throne, Three-Eyed Raven and White Walker – Game of Thrones MONOPOLY money features the symbols of Westeros and Essos. – The traditional MONOPOLY “Chance” and “Community Chest” cards are transformed into “Valar Morghulis” and “The Iron Throne” cards and include directives both fair and foul. – Traditional Houses and Hotels are transformed into Custom Villages and Keeps. – Fans will enjoy opening the elegant black linen paper wrapped box with silver foil-stamped house sigils including Lannister, Stark, Targaryen, and Baratheon. – Game of Thrones art covers the inside of the box and a custom tray holds each game piece and an elegant, rolled scroll secured with a ribbon contains the rules.